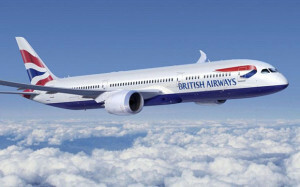 One of the first companies to launch a special deal with Tesco for its new Clubcard Perks scheme was British Airways. The promotion offered a code for a £15 discount on an economy flight costing over £100 and which was booked by the end of July. Tesco has now pushed out the validity of the vouchers. You can now book at any point until the end of August. You can travel at any point until December 15th. You only need one voucher per party – it is good for up to nine people. All travel must start in the UK. You can download your voucher from the Clubcard Perks website.